When tech firm executive Tom and his wife Megan purchased their two-bedroom, 1960s-era Gramercy condo, they knew it would need a substantial facelift. The apartment hadn’t been touched since its original construction, and its shabby interior looked outdated, to say the least. New York City’s aging housing stock often means that when new homeowners purchase an apartment, there is often a need for some renovation and refreshing in order to bring it into the 21st century. Of course, with so many possibilities in how to design your home and how to spend your budget during renovation, the question becomes where to focus your efforts, and which updates will go the farthest toward creating a beautiful, contemporary space. After spending a few months in the 1,200-square-foot space, Tom and Megan could see the potential to create a chic, contemporary home out of their 1960s relic. An added driver was that over the few short months both had also fallen in love with the Gramercy park neighborhood, which felt a bit removed from the usual hubbub of Manhattan but still boasted great restaurants and nightlife within strolling distance. The couple decided not to take on any major renovation decisions on their own but rather to seek professional advice on how best to focus their efforts and manage their budget. A friend recommended Bolster. Bolster is a New York City based firm that has designed a relatively seamless renovation experience. Unlike other design build firms, Bolster provides homeowners with radical transparency and a zero financial risk guarantee. Through the use of a proprietary data-driven estimating tool, Bolster is able to provide homeowners with a more accurate estimate of overall costs. This is no small feat, given that half of the renovation projects in the U.S go 40 percent to 200 percent over budget. The firm also boasts a vertically integrated services structure that allows for a full team approach to renovation; architect, designer, contractor and builder work together from inception to completion of the homeowner’s project. After an initial consultation that included a Bolster team home visit, Tom and Megan decided to devote most of their budget to updating the kitchen and bathrooms. Bolster Architect Jessica Wetters, helped to guide the couple in selecting the new furnishings, products, and finishes that would create the contemporary aesthetic they wanted. 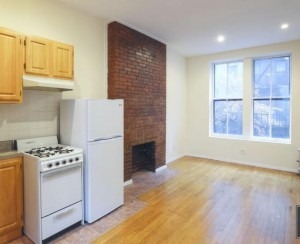 A revamp of their linoleum-tiled galley kitchen seemed an obvious starting point for updating the apartment. The Bolster team of builders removed the linoleum, opened up the space by demolishing a non-load bearing wall, and outfitted the kitchen with new cabinetry, appliances, and fixtures, including a new sink, faucet and contemporary lighting. 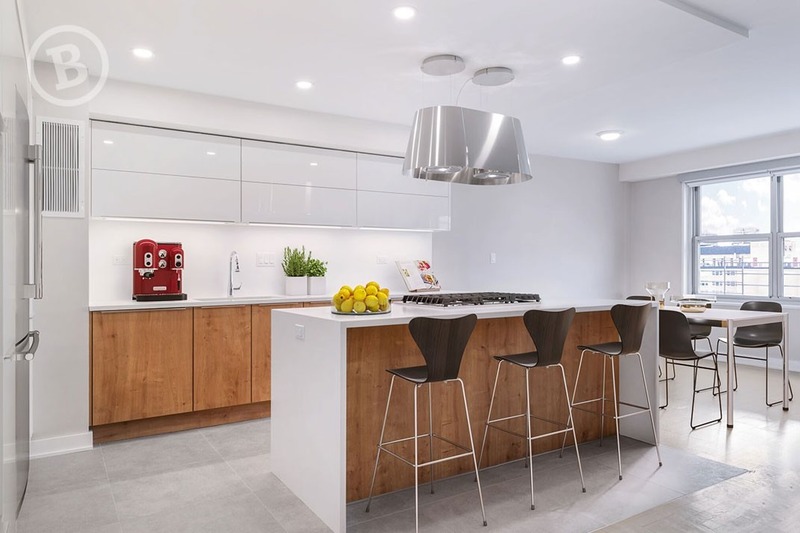 When it came to choosing new cabinetry, architect Jessica Wetters led Tom and Megan to German Kitchen Center’s Nobilia line, known for its contemporary aesthetic. The couple settled on semi-custom cabinetry and a kitchen island, products that are both durable and chic. “It wasn’t just the design of the apartment that hadn’t been touched since the 1960s. The plumbing and electrical systems needed some love and modernizing too.” Chris Amplo, Bolster’s lead build manager, tells us. The Bolster team had to replace and update all of the branch plumbing lines down to the risers. 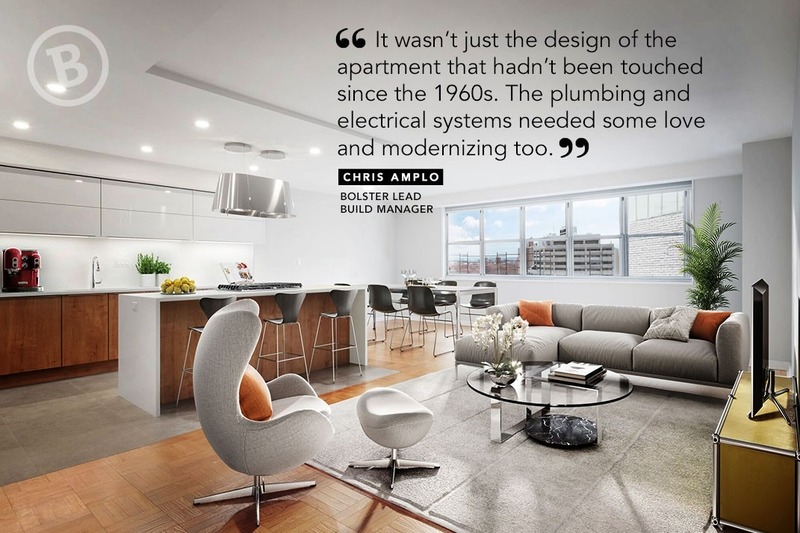 The electrical system required upgrades that included framing and rewiring to bring it up to modern standards. The finishing touches to the kitchen included the installation of KitchenAid appliances, new floor tiles, new backsplash and countertops. All told, the upgrade of the kitchen, including plumbing and apartment wide electrical work totaled $81,884. Next Tom and Megan focused their attention on their two bathrooms, giving both major upgrades through direct replacements of most of the existing elements. After a demolition to remove tubs, sinks, tiles, and fixtures, the Bolster team updated the plumbing as they did in the kitchen. In the master bathroom, the bathtub was swapped out for a custom shower stall. The second bath had its old tub ripped out and replaced with a new contemporary one. 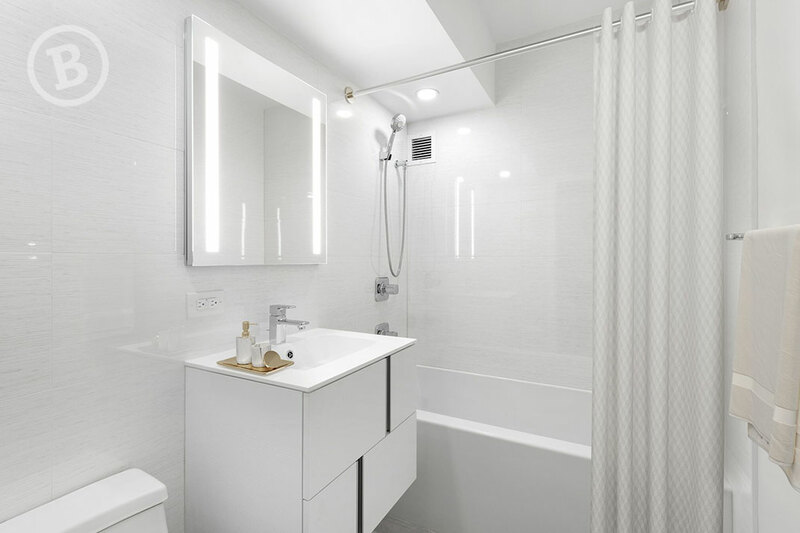 Both bathrooms were outfitted with new tile, plus new vanities and countertops from Porcelanosa. High-end Toto brand bath fixtures and trim added a modernist look that is the perfect contemporary finishing touch to the rooms. Given the age of the apartment, and that Tom and Megan did not want to undertake the extended time commitment and costs of a major gut renovation, Jessica advised them to repaint the entire space in white throughout. This was an easy way to brighten and refresh the space. However in the end, some color accent walls were added. Another aesthetic upgrade that helped to modernize the apartment was the replacement of all its doors, including those on the bedrooms, bathrooms, and closets. Installation of the doors, painting, plus materials and new flooring added to the closets totaled $16,800. Bolster had estimated the project would take four months to be completed, and they were right. During that time Tom and Magan relocated to a temporary place. “At the end of the day, it’s our priority for homeowners to move back into their homes on the date we’ve agreed on. 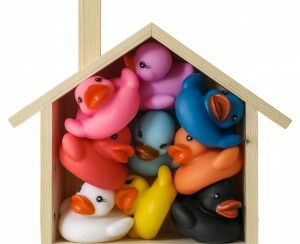 We know how important it is to get that first night’s sleep back in your own bed.” says Bolster CEO Fraser Patterson. Tom and Meagan now live in the stylish, contemporary, modern home that they had always envisioned.